Please join us Sunday at 12 noon to honor the appearance of our dear spiritual guide and acharya, Srila Bhakti Pavan Janardan Maharaj. The following is an excerpt from Srila Janardan Maharaj’s biography:”With great endeavor, and under the instruction and guidance of Srila Bhakti Sundar Govinda Dev-Goswami Maharaj, Srila Janardan Maharaj, together with Sripad Yudhamanyu Prabhu Seva Vikram, were able to reestablish the San Jose Temple and a short while later, with the order and backing of Srila Govinda Maharaj, were able to purchase the magnificent Sri Chaitanya Saraswat Seva Ashram, located in the hills of Santa Cruz, California. During this period, Srila Janardan Maharaj continued to travel and preach on behalf of Srila Govinda Maharaj and his relationship with him developed more and more and became deeper and deeper as the years went by. Srila Janardan Maharaj would visit India regularly and personally collected donations on behalf of the central Math. 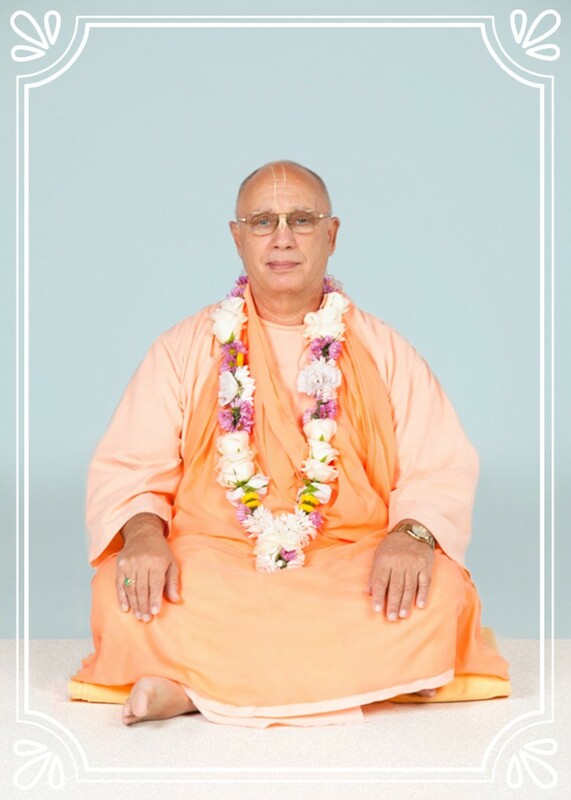 He would also participate in the Sri Chaitanya Saraswat Math Nabadwip Dham Parikrama in a glorious way bringing so much inspiration to the devotees and much joy to Srila Govinda Maharaj’s heart.